It’s one of every parent’s nightmares to learn that their child is being bullied at school. Bullying comes in many forms. Children may be bullied physically, emotionally or through the Internet. While your child may not tell you in words he’s being bullied, if you notice a change in behavior, a drop in grades, unexplained bruises, missing clothing or other items, trouble sleeping or eating and a new expression of physical complaints, your child may be the victim of a bully. If you suspect your child is being bullied follow these 5 steps to nip bulling in the bud. 1. Talk to your child. Ask your child open ended questions to help you gauge the situation. “I’m concerned that things at school may not be okay. How is school going?” Be sure to remind your child that you believe him, support him and want to hear what he has to say. 2. Find out as much as you can. If you learn that your child is indeed being bullied, gather as much information about the situation as you can. You’ll want to know who is bullying your child, when and how. You’ll also want to know if anyone has seen your child being bullied. 3. Teach your child how to respond to the bully. Encourage your child to confidently tell the bully to stop. Teaching your child to say “Stop, no, I don’t like that” and then to walk away can be an effective tool for stopping some bullies. Let your child know that it’s okay to ask a teacher or trusted adult for help. Using humor, staying in a group and avoiding the bully can be other effective tools. 4. Talk to school officials. Years ago bullying was often viewed as a rite of passage. Today it’s viewed as a serious problem. Contact your child’s teacher, guidance councilor or principal about the situation and find out what steps they will take to resolve the issue. While it is tempting, don’t confront the bully or his parents directly. Doing so can escalate matters and make the situation worse. 5. Boost your child’s self confidence. 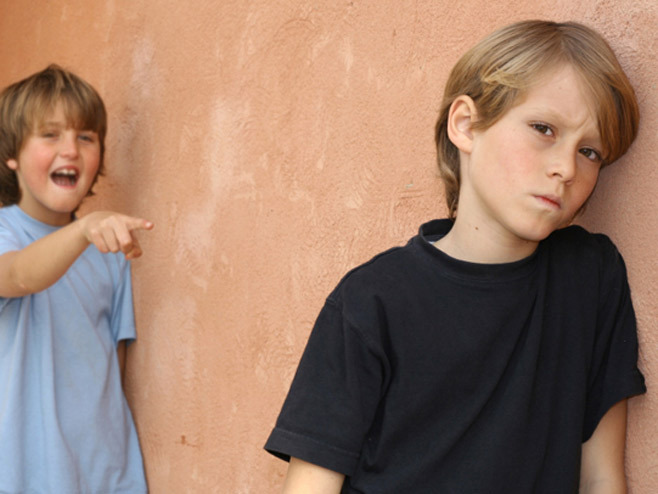 Children who are bullied often experience a dip in self-esteem. Get your child involved in group activities he likes, like karate or another sport that will help to raise his confidence. If you suspect your child is being bullied it is important that you take action. Many schools have an anti-bullying policy and support system already in place to stop the bullying and to support you and your child as the situation is resolved.